Rory Muir’s masterly new biography is the result of thirty years’ research into the Duke of Wellington and his times. The Duke of Wellington was Britain’s greatest soldier, whose victories turned the tide of Napoleon’s conquests and played a crucial role in his downfall. Wellington went on to be a major figure in British politics, twice serving as Prime Minister. Often the centre of controversy, he was at times fêted and celebrated as a national hero, at others reviled in the press and abused in the streets. He was a far more complicated man than the paragon of virtue celebrated by Victorian biographers. 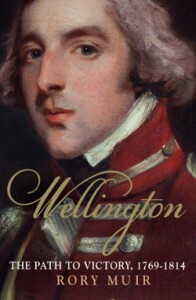 The author brings Wellington into much sharper focus than ever before, critically examining every aspect of his life from his unhappy childhood, his baptism into British and Irish politics and his remarkable successes in India, to the setbacks and triumphs of the Peninsular War. This is the first biography to address the significance of Wellington’s political connections and the way they both helped and hindered his campaigns. The work also gives fresh insight into Wellington’s character: his many strengths and the flaws that together made him a complex and interesting man as well as a great soldier. Select illustrations courtesy of the Trustees of the Stratfield Saye Preservation Trust, from Wellington Portrayed, forthcoming from Unicorn Press Ltd.
Wellington’s momentous victory over Napoleon was the culminating point of a brilliant military career. Yet Wellington’s achievements were far from over: he commanded the allied army of occupation in France to the end of 1818, returned home to a seat in Lord Liverpool’s cabinet, and became prime minister in 1828. He later served as a senior minister in Peel’s government and remained Commander-in-Chief of the Army for a decade until his death in 1852. 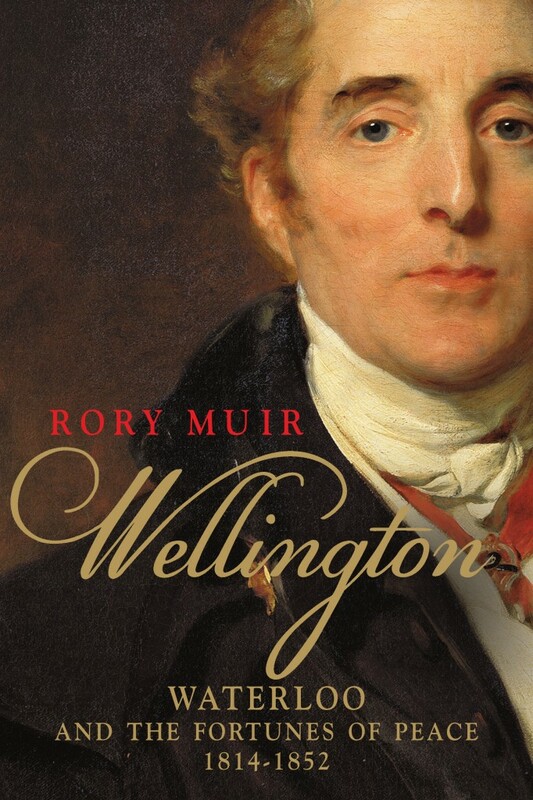 In this richly detailed work, the second and concluding volume of Rory Muir’s definitive biography, the author offers a substantial reassessment of Wellington’s significance as a politician and a nuanced view of the private man behind the legend of the selfless hero. Muir presents new insights into Wellington’s determination to keep peace at home and abroad, achieved by maintaining good relations with the Continental powers and resisting radical agitation while granting political equality to the Catholics in Ireland rather than risk civil war. And countering one-dimensional pictures of Wellington as a national hero, Muir paints a portrait of a well-rounded man whose austere demeanor on the public stage belied his entertaining, gossipy, generous, and unpretentious private self.